A data recovery software range for data loss cases of any complexity. Get a universal cross-platform tool for any data recovery task. 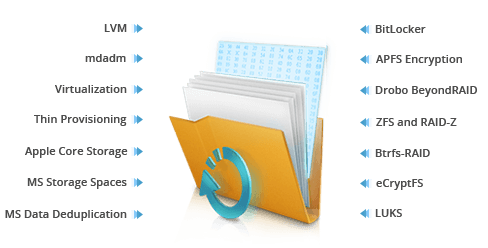 With support of various storage technologies, UFS Explorer is handy and safe software for retrieving data lost from any internal or external storage. Expert assistance and remote data recovery services will help you to get a complete solution for your data loss case. 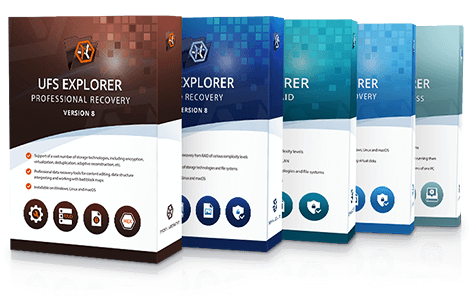 A reliable piece of software featuring a broad set of tools for technical specialists and experts in the field of data recovery. 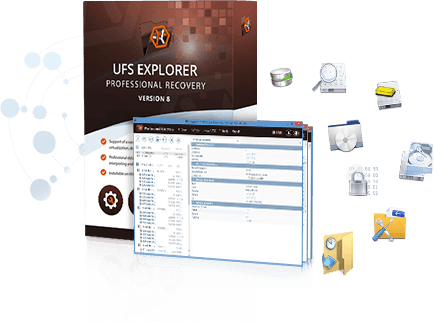 UFS Explorer software solutions serve both home users and technical specialists helping to retrieve the needed information in practically any case of data loss. Comprehensive software solutions for recovering and getting access to data from various storages. UFS Explorer deals with both common and complicated tasks. 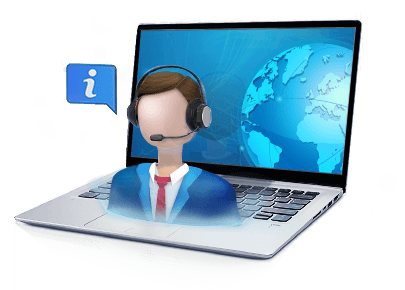 Enhanced with additional features for professionals, the software offers a data recovery procedure that is clear for home users. Efficient in covering most common data loss cases. Suitable for RAID-specific tasks and standard cases. Ideal for handling complex data loss cases. Perfect for getting access to non-damaged data. Got some questions about data recovery? Didn’t find what you need? Have a look at our other solutions! SysDev Laboratories is constantly working on the diversity and efficiency of software solutions for different issues of data access and data loss creating new tools for working with various storages and file types.